Barry O’Farrell met businessman involved in Obeid deal | thetelegraph.com.au. PREMIER Barry O’Farrell is set to be drawn into an ICAC scandal amid revelationshe and former Finance Minister Greg Pearce met a Liberal donor, Nick Di Girolamo, whose company with a secret link to the Obeids then won a $100 million contract with Sydney Water. 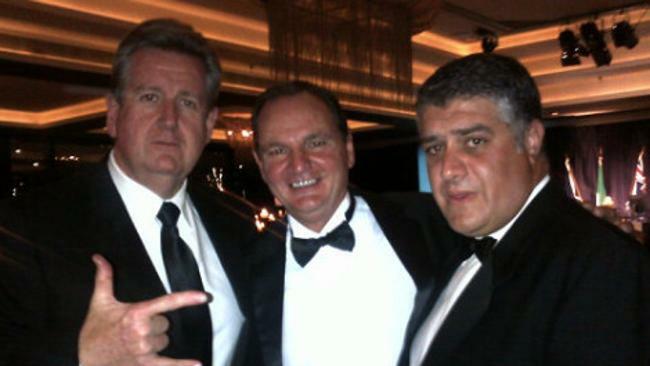 Read the full story: Barry O’Farrell met businessman involved in Obeid deal | thetelegraph.com.au.